The Taj Mahal mausoleum in India, a field of tulips in the Netherlands, the statue of Christ the Redeemer in Brasil, the mysterious moias statues in Eastern Island or the citadel of Machu Picchu in Peru are some of the magnificent images that Puzzle for kids: Wonders brings to our little ones. Your children will travel around the world and will discover the historic monuments and famous landscapes of every country. Make the trip with your kid and help him identify the continent, country and landscape that appears in the photo and give him a hand placing the pieces. The more puzzles he solves the more difficult it gets and he has 150 seconds to find the answer. If he runs out of time and the puzzle hasn’t been solved he will lose one of the three lives. Puzzles are perfect for the cognitive development of our children, but they are also very useful for adults; they keep our mind’s agility in good condition. They help kids with concentration, visual memory, hand and eye coordination or problem solving skills among many other things. 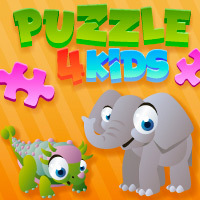 Puzzle for kids: Wonders benefits the improvement of quick thinking. 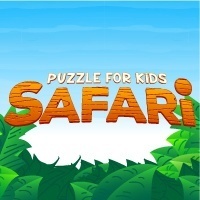 Your kid will increase his observational capacity and concentration with this online game for free as he needs to look closely the picture and memorize it before it breaks into pieces to be able to reconstruct it. Puzzles are also a great training when it comes to the mathematical logics; children learn how to plan and create a strategy, such as putting the pieces with the same color together or start with the edges. Learning to be patient, to think before acting and avoid frustration are also some more benefits your kid will experience thanks to Puzzle for kids: Wonders. And let’s not forget it’s a game; your children will have fun discovering new things and trying to beat their own record each time. It is also a great way for kids to have a first contact with new concepts such as perspective, size, shape and the different shades of colors. This game can be played on a computer, an iPad or Tablet, or any kind of mobile phone; iPhone and Android, so your kid can play wherever he wants. Besides, it’s an online game so you don’t need to download anything in any of your devices. Just hand it to your children and let them get used to new technologies and to work on their cognitive skills, their concentration and their patience thanks to Puzzle for kids: Wonders. Don’t be afraid to play too and to have a good time with your kids while they are learning new things.